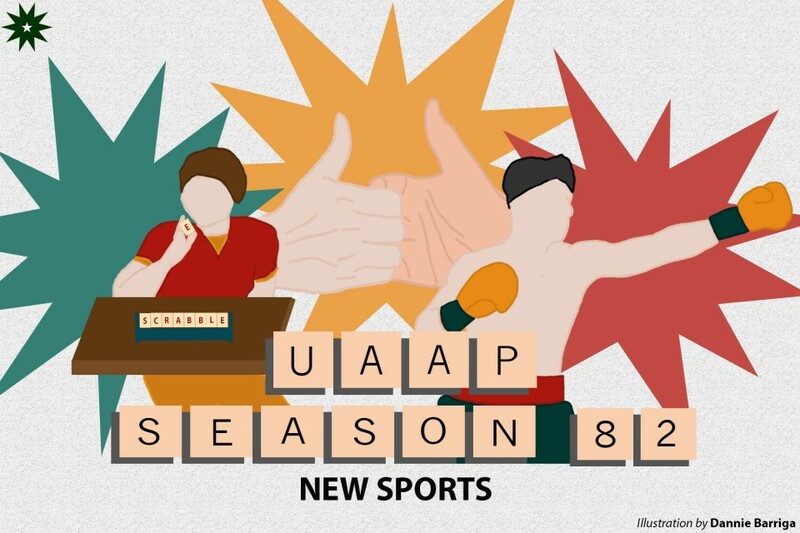 After realizing that the second semester of the UAAP’s 81st edition only has five sports, namely volleyball, football, lawn tennis, baseball, and softball, the University Athletic Association of the Philippines (UAAP) Board of Trustees announced that it will be introducing new sports for the league’s next season. “Medyo konti lang ang action ng second semester. We want to expand and showcase more athletes from more sports,” shares board member Rod Roque of University of the East, who brought up the initiative. He states that with the introduction of new sports, the UAAP will be taking a step toward being more inclusive, diverting from their reputation of focusing on revenue-generating sports such as basketball and volleyball. The Office of Sports Development (OSD) has been supporting the UAAP’s agenda. “I think that this is a very positive step. More of our students will have the chance to represent the school and bring her pride and glory,” OSD Director Emmanuel Calanog elaborates. One of the newly introduced sports that caught a lot of attention is the UAAP boxing tournament. With its inclusion, students will now have the opportunity to literally “fight” for their school. The tournament will feature both men’s and women’s divisions, with weight classes ranging from flyweight to heavyweight. “There are many good boxers in the Philippines, and I think that the tournament will showcase the Filipino talent. Who knows? We might find the next Manny Pacquiao in the crop of fighters next year,” states Dr. RJ Ermita, UAAP Board of Trustees member from this year’s host school, National University. Traditional boxing rules will be followed by the tournament. Because many matches may end up as a decision by the judges, the UAAP board has carefully selected the personalities who will be judging these fights. Among the most notable are Angel Locsin (four sisters and a wedding skills), Tito Boy Abunda, and Claudine Barretto (airport sapakan skills). The proposed venue for the tournament is Ateneo de Manila University’s Blue Eagle Gym. However, the finals for both the men’s and women’s division will be fought at the Smart Araneta Coliseum, where Muhammad Ali and Joe Frazier once fought. Founded by Alfred Butts in 1938, Scrabble has paved its way as one of the most popular board games in the world. The game consists of two to four players in 15×15 grids; all players must construct a word founded in the Oxford or Standard Dictionary for each turn. With its emergence in the UAAP, the Board has found a new sport that would require the same critical thinking ability similar to chess. As early as now, the OSD has already decided to call the team Green and Lady Tile Pushers. Current UAAP President Nilo Ocampo stands by his decision to include the sport in UAAP Season 82, “We are beyond pleased to recognize all scrabble players in this country. Not only will we help the sport grow, but we will also help these young athletes hone their craft,” he asserts. The OSD confirms that the benefits given to accepted athletes grants them the same perks existing athletes enjoy. These include advance enlistment, scholarships, and many more. Scrappy Doo (III, BS CE), a prospect player for the Green Tile Pushers, shares that “Power, pare! Honestly, the scholarship is very enticing and to be called a Green Tile Pusher? Wow!” Tournaments for the sport will be held at the Blue Eagle Gym from October 14 to 28. The childhood phenomenon is making its first appearance in the UAAP scene. The game will consist of two players holding hands and battling it out with their thumbs to see who can pin down who for three seconds. “This is the future of the UAAP. People around the Philippines will surely come to Metro Manila just to witness this spectacle,” UAAP Board of Trustees Chairman Dr. Michael Alba mentions. Each school will be composed of three different wrestlers, all in different thumb weight classes, ranging from featherweight, middleweight, and heavyweight. Each weight class will feature a title belt that one will wear on his thumb for the whole offseason after Season 82. There will also be different types of matches in the sport; mainly, the singles and tag team matches. Other extravagant matches are also included like the TLC (Tables, Ladders, and Chairs), No Holds Barred, and Hell in a Cell matches. All of them still have to end with a thumb getting pinned down for three seconds for a player to win. Moreover, the jerseys will be sponsored by a world class clothing company, Supreme, and will be designed by Philippine fashion personality Julius Babao. It will be a big change for the schools because for the first time, all eight UAAP schools will be under one jersey sponsor and designer. Thumb wrestling will officially be unveiled on April 1, 2020. The three-month long UAAP tournament will be held beneath the University of Santo Tomas Arch of the Centuries.